This page contains a walkthrough for Mission 14 Larceny in Destiny 2, including strategy guides, obtainable weapons and armor, and enemies encountered. Follow the waypoint to Legion’s Anchor and prepare to take out a group of enemies there. To avoid taking too damage, use the cover by the entrance and pick off the enemies one by one. You’ll spot a yellow barrel that you need to shoot. This will get you safe access to the bridge at the center of the area. Then, proceed and make a left. There will be sentry guns aimed at you from here that you need to destroy. You can use the wall to cover yourself when aiming for the guns. Be prepared to face a wave of enemies that you need to deal with, as well as a Servitor boss. 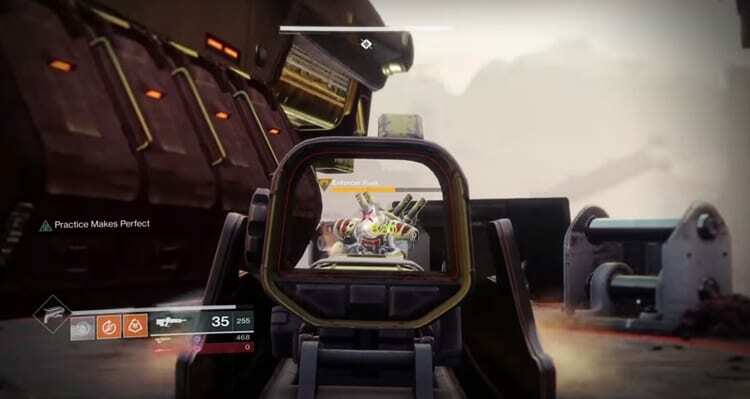 You can choose to take out the Servitor first as it can shield nearby allies from damage. 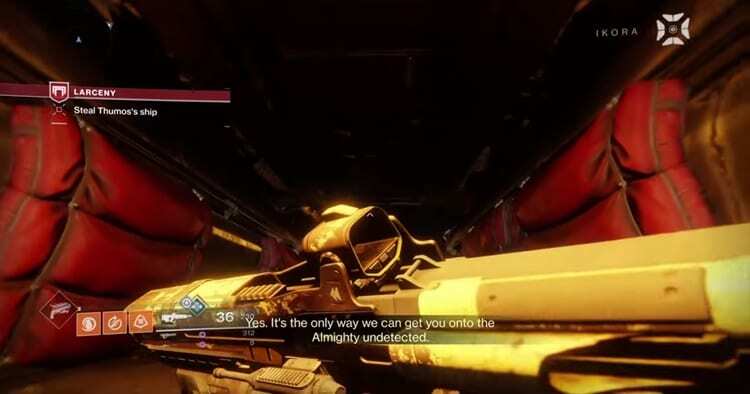 Otherwise, you can quickly take out the unaided enemies before focusing on the Servitor. Proceed forward again further past the console. There will be a door with another wave of enemies, including some Psions and a Scorpius. It is recommended to focus on the Scropius first before targeting the Psions. After you’ve defeated all the enemies in the area, you will gain access of the Cabal Landing Zone behind the guarded door. Upon entering the Cabal Landing Zone, immediately focus on the two Scorpius guns there and destroy them. Then, you need to seize control of the ship by using the ghost ability. Be prepared to engage a group of Red Legion forces that will arrive to buy time for taking over the ship. Remember to keep moving or you will be overwhelmed by enemies here. A long-rang weapons such as a Sniper Rifle will work very well in this phase. As you approach the landing zone, you need to defeat a Gladiator that will appear there. Be careful not to get very near the Gladiator as its melee attacks are very powerful. At all times, damage the Gladiator from a distance and watch out for its charge attack. Soon, enemy reinforcements will arrive from a ship. Since you have the high ground, you can deal with them easily. A good tactic is to drive the enemies to the Landing Zone where you have good cover to fire at them. When the Incendiors appear, you can shoot them as they come near their allies to deal damage to them as well. The last objective of the mission is to defeat a Cabal Centurion called Enforcer Rusk. After killing the boss, board the ship to finish the mission.